Congratulations on winning not one but two TINYawards! 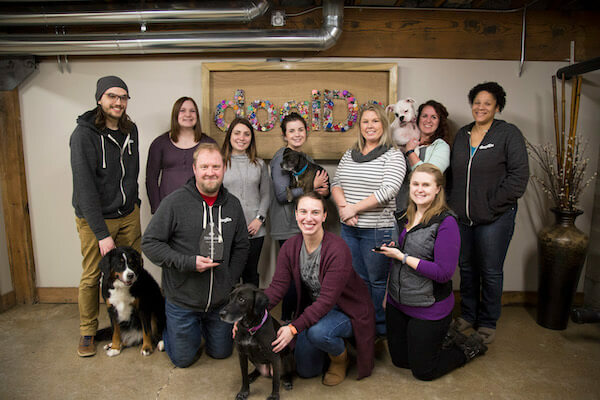 What do the Happiest Company Award and Raising The Bar Award mean to you? Thank you! Our company is ecstatic about winning these awards! It truly reinforces the culture that we have worked hard to build. TINYpulse has played such a big role in creating an environment of trust, transparency and honesty in our company. As our Culture Chair, I love getting to see the feedback our employees provide in our weekly TINYpulse questions. It really helps to give me a good feel for how everyone is doing and recognize areas or aspects in our culture that need attention or need to be improved. Winning these awards reminds us that we must be doing something right! Why is it important to have happy employees? Having happy employees is so important to a business. Of course, for the obvious reasons - employee retention, recruitment, productivity - but it also contributes to much more in the work environment. Our business exists around this passion for dogs and wanting to improve their lives. Well, dogIDs isn't just passionate about dogs, we're passionate about our employees and want to improve their lives as well. If our employees are happy, it means that we've succeeded in helping them to be passionate about their job and other aspects of their lives. Is the Happiness Score in TINYpulse something that you pay attention to? What other ways do you measure employee happiness? Yes! We have the Happiness Score questions set up to be asked monthly. For me, it's helpful to analyze the results of the question and act quickly if there are any low scores. A low happiness scores doesn't necessarily mean that an employee doesn't like working here anymore but to me, it means that someone on our team is feeling stressed, whether about work or something not work-related. We have a pretty small team at dogIDs, we're currently 13 employees, and so when one of our team members is feeling stressed about something, it usually shows and affects the team. One of our values that we hold as a company is "Support Our Pack." Having the Happiness Score helps me and the team know when someone in our pack needs a little extra support. Though the Happiness Score is still anonymous and we may not know exactly who needs the extra support, its a good reminder for the team to be continually supporting those around them to the best of their ability. What makes dogIDs such a happy workplace? What do you do to maintain that culture of happiness throughout the year? I think one of the biggest factors that contributes to our employees' happiness is the environment that we've created. There is this stigma that seems to exist in almost every work place that 'When you arrive at work, you leave your personal life at the door.' To me, that seems impossible to ask of someone. After all, we're all human, we all have lives, issues and stress, wins and accomplishments that happen outside of work. You can't just shut all of that off because you're at work now, the place that you spend 40 or more hours a week at. We've worked hard to push out that stigma from our workplace and instead create a culture that recognizes that we're all human and we all have not only baggage and stress but we have passions and 'wins' outside of work that aren't easy to just keep to ourselves. This culture we've created has resulted in having a cohesive, supportive team who want to celebrate their teammates' accomplishments and passions, who want to support those who are going through rough times. Knowing that you have people who care about you and support you contributes to being happy and fulfilled at work. Of course, having dogs at work definitely contribute to everyone's happiness too. Stressed out about work, tired of staring at a computer screen? Pet a dog... it makes everything better. Was there a particular moment of happiness that stands out from 2017? Another part of our culture at dogIDs is having 'culture/team events.' Each week, we plan an activity and everyone in the company is asked to step away from their work and join in some good, fun, relaxing team time. Another value we hold near and dear to our hearts is to 'Work hard, Play hard.' We believe that A) Hard work deserves to be rewarded with 'Play' and B) If we allow our employees to have that 'Play time' with each other we're able to refresh so we can continue to work hard. Our culture events and team times are really something that we all look forward to - we've made a lot of fun memories during them and it gives everyone a chance to mingle with each other outside of everyday work. We have some departments who really wouldn't get the chance to see and get to know each other much outside of team events because their departments don't necessarily work closely. Its a great way to get know everyone on the team a little better. 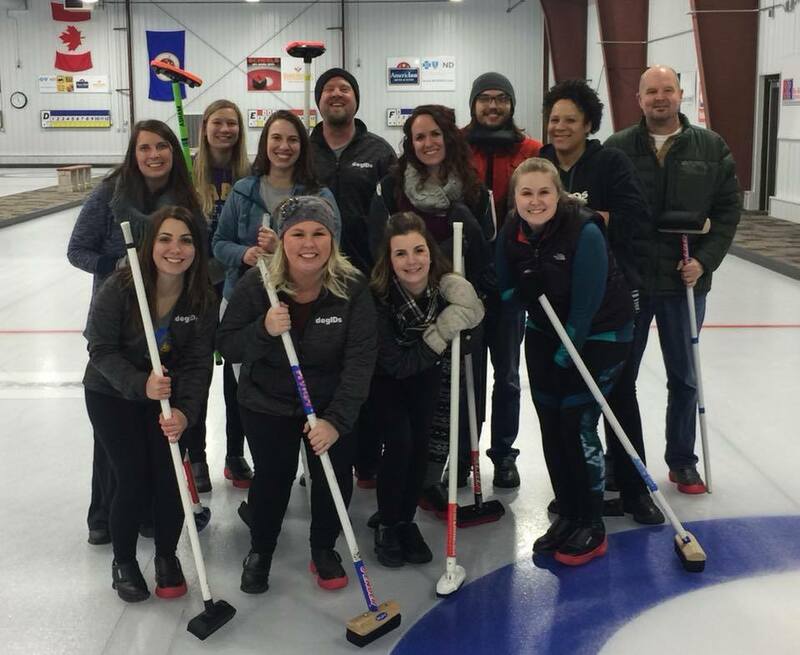 One of the fun culture events we've started to do annually is taking an afternoon off of work to go to our local Curling Club and go curling - some of us already know how to curl and for some of us, it's a fun learning experience! How does happiness relate to your work values and culture at dogIDs? Among our five company values, I believe three of them directly relate to the happiness of our culture - Work Hard, Play Hard; Support Our Pack; and Be Respectful and Kind. Work Hard, Play Hard is about rewarding yourself for the hard work that you've put in and vice versa - if you take the time to relax and refresh, you'll be able to put in the hard work. This value definitely applies to our culture and our team time events but it also applies to people's personal lives and creating a healthy work-life balance that works for them. We want employees to not only be fulfilled at work but also in their lives outside of work. Creating a healthy work-life balance that works specifically for you, because not everyone's balance looks the same, is one of many keys to happiness in the workplace. Support Our Pack helps to create a trusting and nurturing environment between our pack. Our employees know that they have people that care about them and who are excited for them and their passions and wins. We are a pretty cohesive bunch. Last but not least, no work environment can be complete without respect and kindness. We've set a high standard for what being respectful and kind at our workplace means and by setting that standard, we've never experienced anything less. If people feel safe and comfortable at work, it increases their ability to feel happy and fulfilled at work - simple as that. Do you have any upcoming plans or initiatives that you hope will improve happiness in the future? One of the things that I am currently working on as Culture Chair is creating a 'Personal Development' program at dogIDs. The idea behind it is to get our employees thinking about what their dreams, passions and goals are, both professional and personal, and how dogIDs can help make that possible for them. Our employees will be able to meet with me and talk about things they want to accomplish - a training that will help them in their career, a vacation they've been meaning to take, there are even some who are simply interested in learning a new language and just aren't quite sure where to start. My role will be to help facilitate those passions and dreams by helping them make an action plan of how to tackle it and hold them accountable to the goals they've made. At dogIDs we certainly 'talk the talk' about supporting everyone's dreams and passions - I think its only fair that we show our employees we're willing to 'walk the walk' too. You've been using TINYpulse at dogIDs since 2013. What do you think led to your "Raising The Bar" this past year? Raising the TINYpulse participation rate was one of my number one goals this past year when I came into my role as HR Administrator and Culture Chair. When I set out to increase the participation, I really wanted to know what prevents people from participating and what would motivate them to. A lot of people said that sometimes they would just simply forget about TINYpulse - they'd get the email and then it'd get pushed down in their inbox and then they would forget about it. Others said that if the questions were long and complex and would take them more than a few minutes to complete they wouldn't prioritize it. From that, I started customizing the TINYpulse questions each week to be more suited for our team's needs and wants and then I also started sending out reminders to the team to answer the TINYpulse. I tried to bring it up at staff meetings to remind people and talking about it whenever I could - just to get it in people's minds to remember to do it. As for motivation - that was a hard one since TINYpulse is anonymous. How do you create a reward system based on anonymous feedback? I definitely wanted to keep the anonymity of TINYpulse. I started creating 'Team Rewards' - each month I'd set a goal that the whole team had to meet - "If every week is at 50%+ participation in August, we'll have a pizza party". Last but not least, I would be consistent about reminding the team how important their feedback is and how having it can help me to create each of their ideal work environment. I think each of those things contributed to more TINYpulse participation. In one sentence, can you give us your best advice for other companies looking to improve their employee happiness? I think that happiness in the workplace can most commonly be rooted back to recognizing your employees as humans - humans need to feel valued, understood and appreciated, so if you value, appreciate and try to understand the people in your company, you can create an environment that fosters and cultivates happiness. The Happiest Company Award honors organizations with the highest average Happiness Score throughout the year. Happiness Scores are tabulated from anonymous employee responses to the frequently asked survey question “On a scale of 1 to 10, how happy are you at work?”. The new “Raising The Bar” Award recognizes organizations that used TINYpulse in 2016 and 2017 and had the most dramatic year-over-year improvement in Happiness Score. A full list of Raising The Bar Award winners and Happiest Company Award winners can be seen at TINYpulse’s awards page. 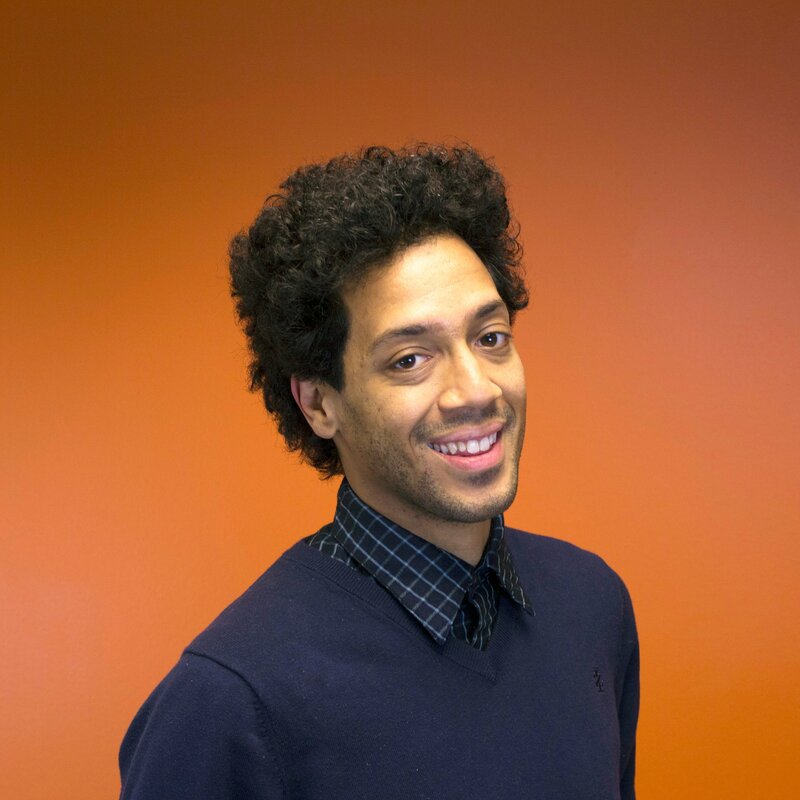 Tyler is TINYpulse's Communications Specialist, which means he gets to excitedly tell people stories of transformative and dynamic workplaces. He loves writing and seasonal Oreo variations.